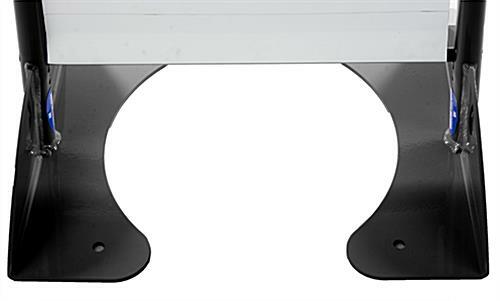 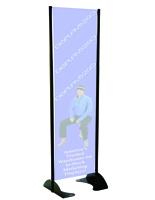 This 16” x 72” black permanent banner stand is the perfect display solution for advertising outdoors! 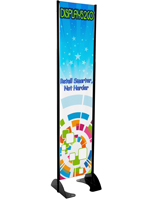 Each large flag holder is made of 100% powder coated aluminum construction and has a spring loaded tension bar designed to keep your sign taut but also easily changeable. 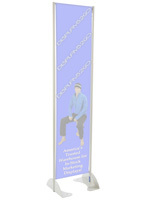 Please note that vinyl sign is not included. 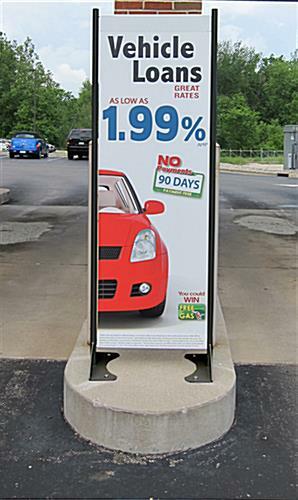 Each mountable banner stand can be bolted outdoors to concrete, wood, or metal, and is meant to withstand many types of weather, including 60 MPH winds. 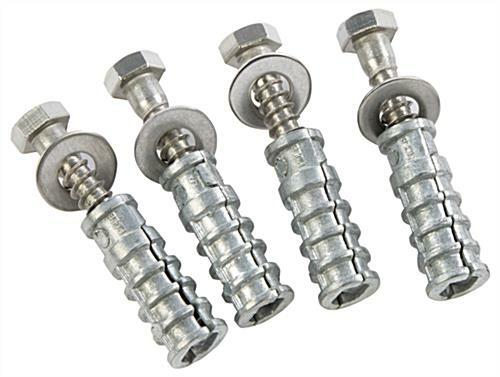 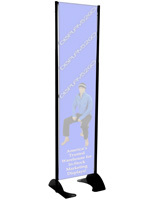 The marketing tool shown here also offers plenty of indoor advertising display solutions as well. 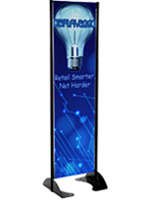 Hang a sign or large flag that is 16” wide and 72” high on the floor-standing fixture for indoor marketing opportunities in banks, restaurants, retail environments, tradeshows, or anywhere you want your message to be seen. 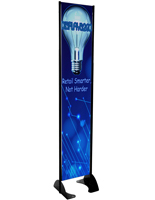 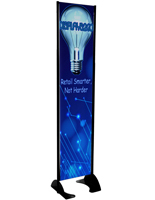 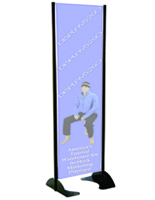 The mountable banner stand will give your custom ads maximum exposure no matter where it is placed!